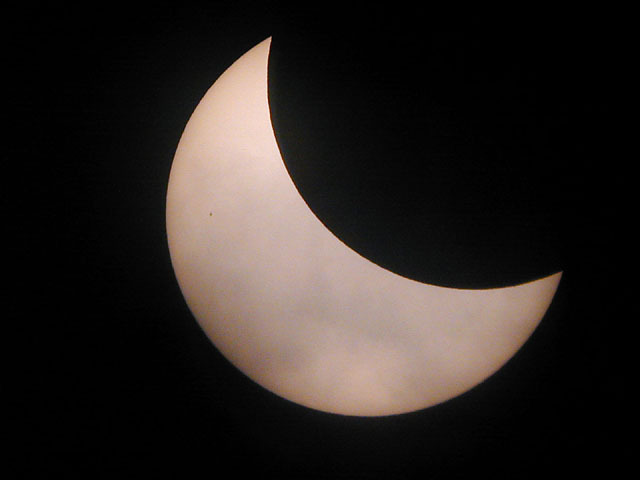 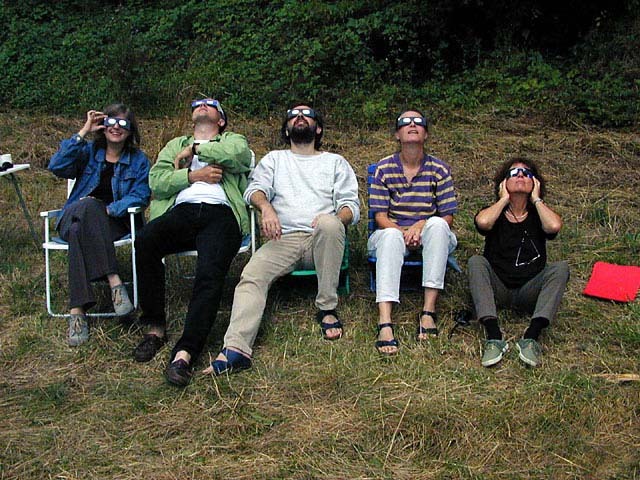 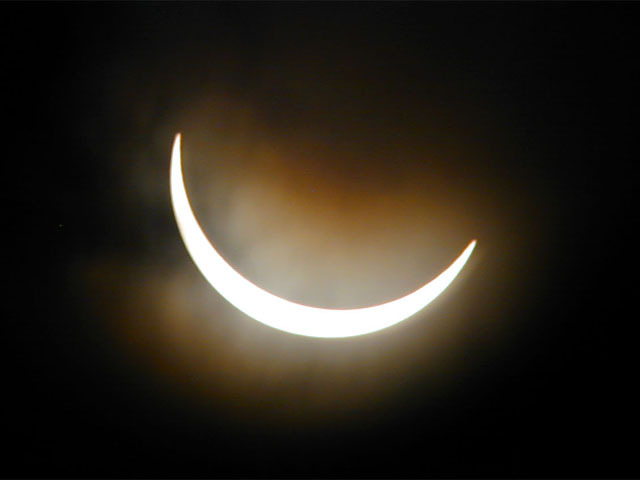 On August 11th, 1999, a total eclipse of the sun could be observed in Southern Germany - provided that it was not raining like in Stuttgart where thousands of people gathered in vain. 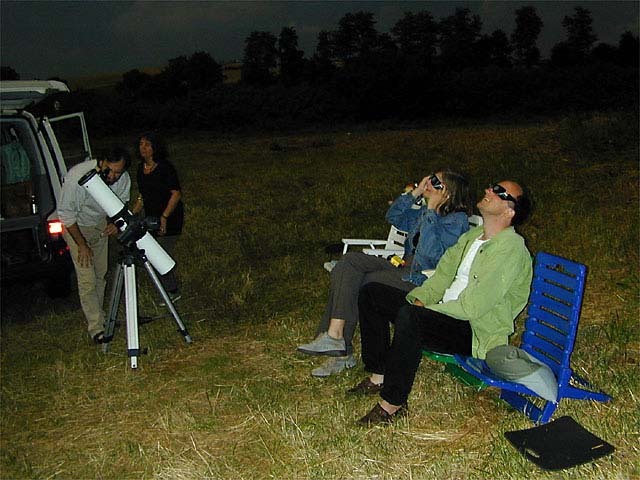 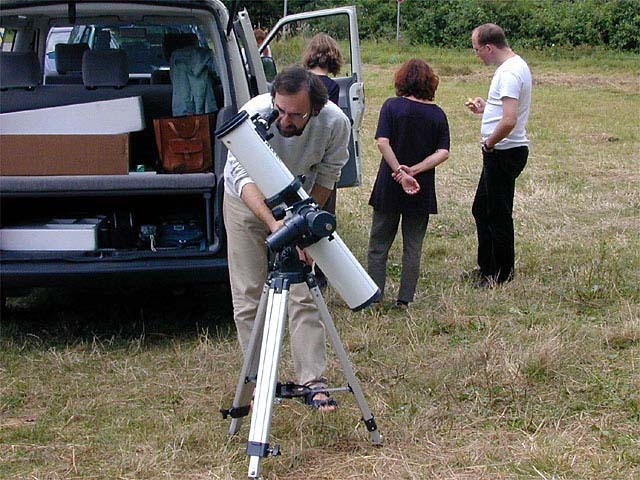 Mühlhausen (Kraichgau) was just within the zone where the eclipse was total; therefore friends visited us: Rüdiger Pohl not only brought his telescope with him, but also his wife Isabell, his colleague Markus Eisenhauer and Markus' girl friend Britta. 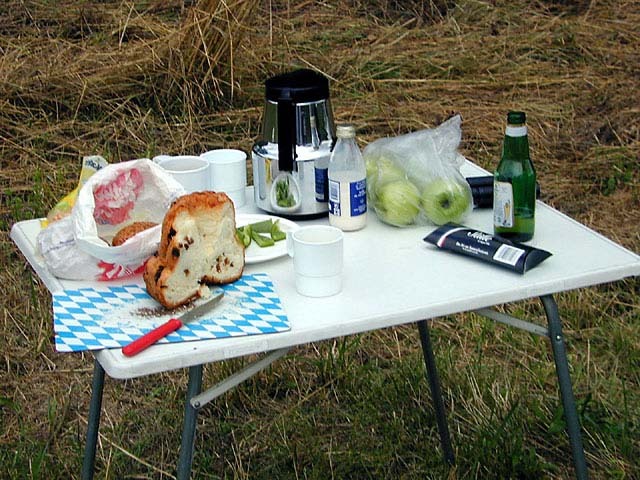 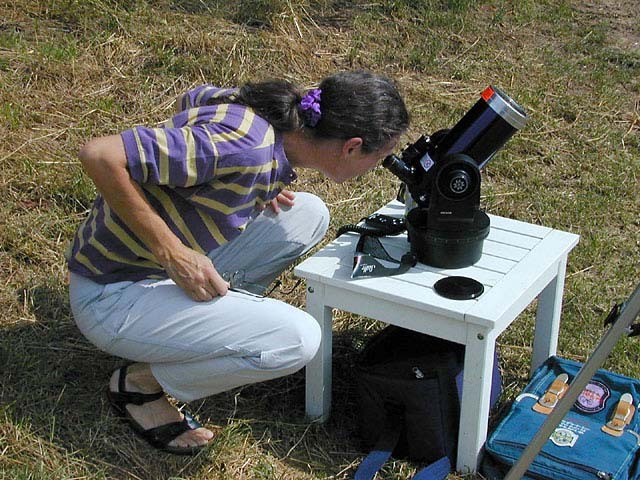 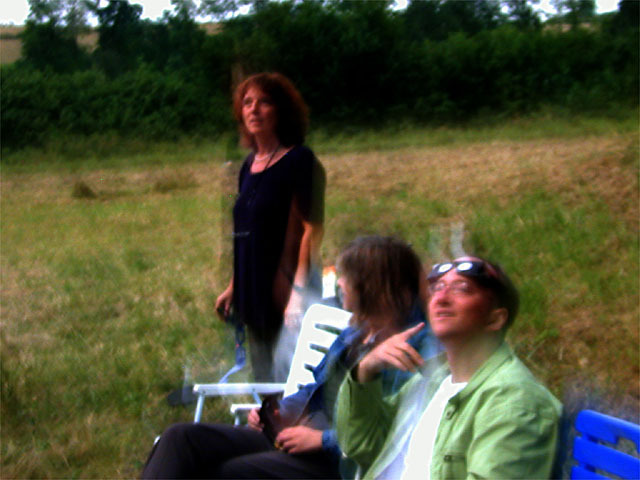 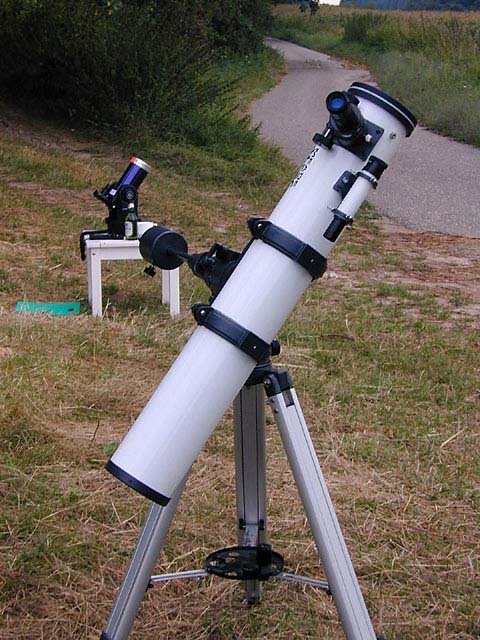 We provided a small TV - in case we would not see the eclipse - my small ETX telescope, and food & drinks... We drove a little bit southwards into the Kraichgau, where many spectators had already gathered. 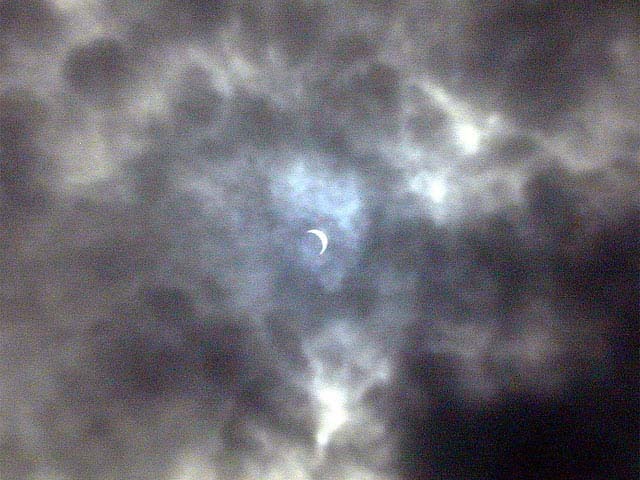 Here I present a couple of photos from this trip. 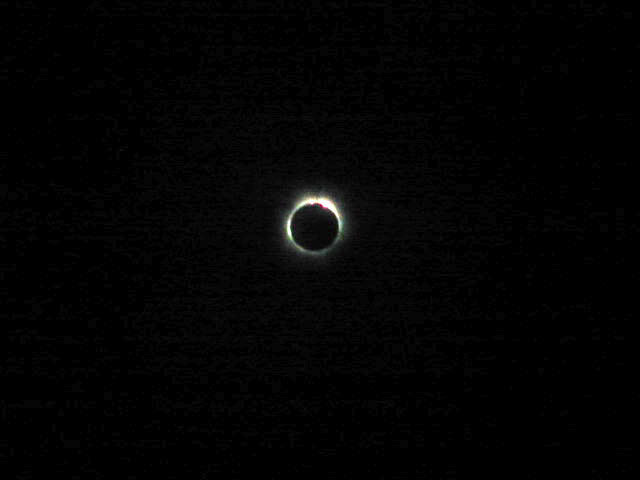 It is a pity that my camera did not capture the upcoming darkness; instead, it simply used longer exposure times - resulting in correctly exposed but unsharp images... 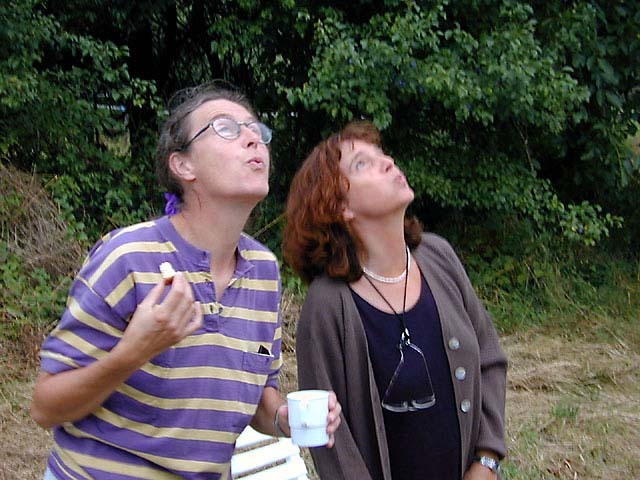 Shortly before the total eclipse, a cloud threatened to cover the sun, but Isabell and Astrid blew it away. 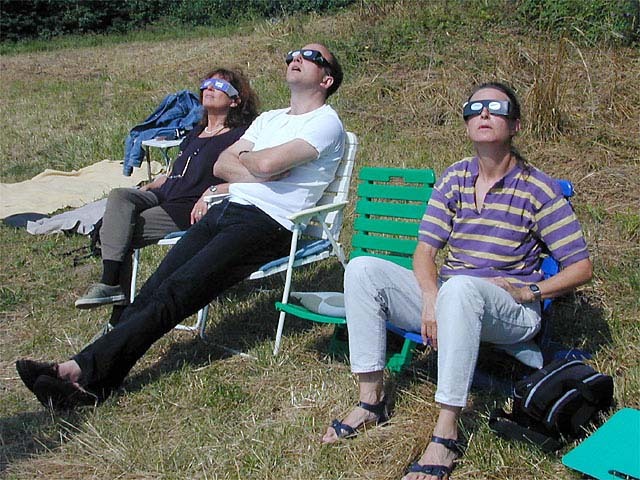 During the total eclipse, Rüdiger and me were somewhat "unprepared:" Rüdiger did not manage to take the sun filter off his telescope (because he believed the newspapers and left the filter on the telescope). 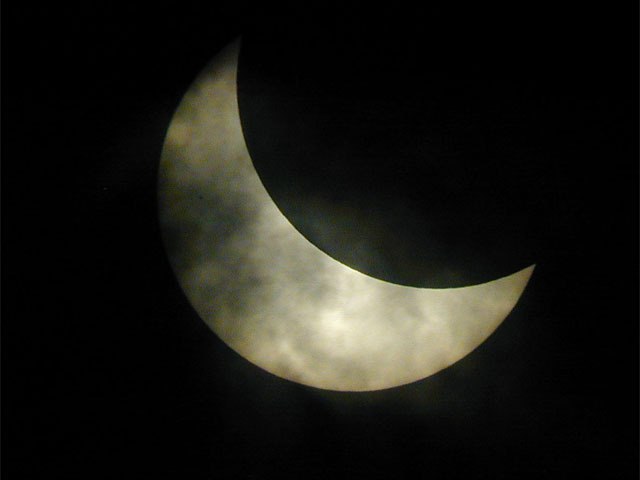 I took some tiny corona photos by hand with my digicam; at least I could see the sun in my telescope for a short moment, before the sun light quickly returned. 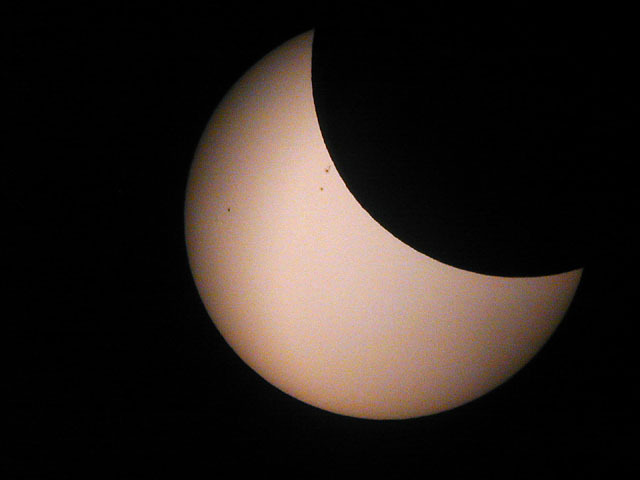 Later, I used Rüdiger's telescope to take a few photos of the partial eclipse (my telescope magnified too much).